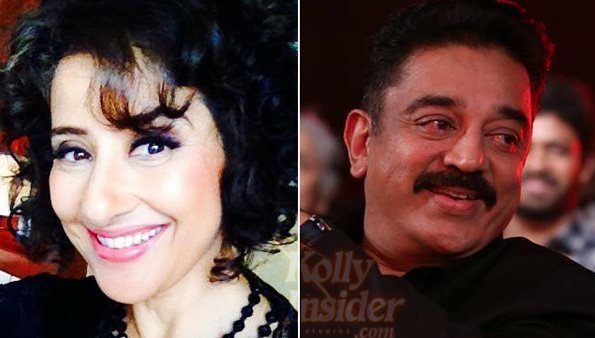 Actress Manisha Koirala has been approached to play a small role in actor-filmmaker Kamal Haasan's Tamil thriller tentatively titled "Thoonga Vanam" that is set to go on the floors later this month. "Talks are going on with Manisha to play Kamal's wife in the movie. It's a small role. But nothing has been finalized yet," a source told. Manisha and Kamal have previously worked in S Shankar-directed "Indian", "Aalavandhan" and highly criticized "Mumbai Express" for having an English title. "Thoonga Vanam" features Trisha Krishnan in the lead role, will play a character similar to "Bond" girl. Actor Prakash Raj will be essaying an important character. Kamal's long-time associate Rajesh will helm the project, which is said to be a thriller that'll unfold in a single night. As Kollyinsider reported Kamal is playing a cop role in the movie after the blockbuster movie "Vettaiyaadu Vilaiyaadu". The film was earlier planned to be completely shot in Mauritius, but due to some logistical issues, the team will now shoot in India. For now, Kamal Haasan in basking on the success of his recent release "Uttama Villain", which received an overwhelming response from audience and critics. The movie is doing extremely well at box offices across Tamil Nadu and overseas market. Kamal is awaiting his upcoming releases "Vishwaroopam 2" and "Papanasam". The team of "Papanasam" had released the first look poster of the movie and this has created waves on social media platforms. With a series of releases on the way, Kamal Hassan is set to kick up a storm at the box office.